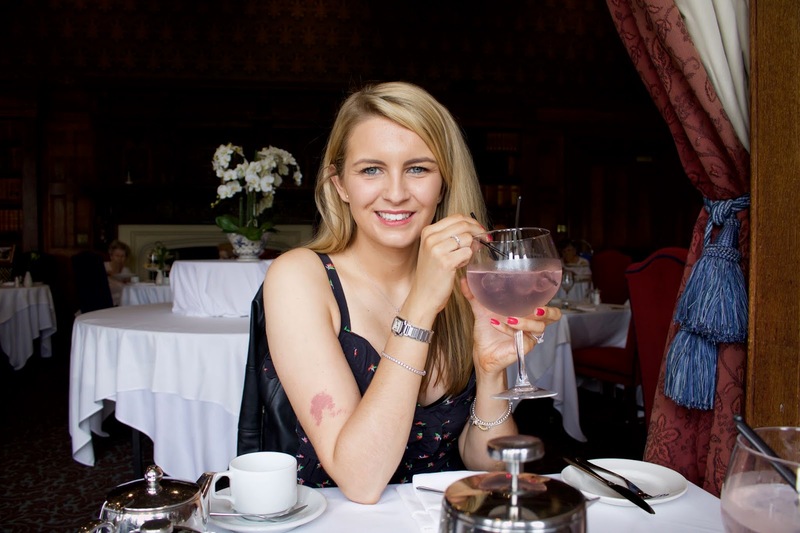 I am a gin lover, there is no doubt about it. 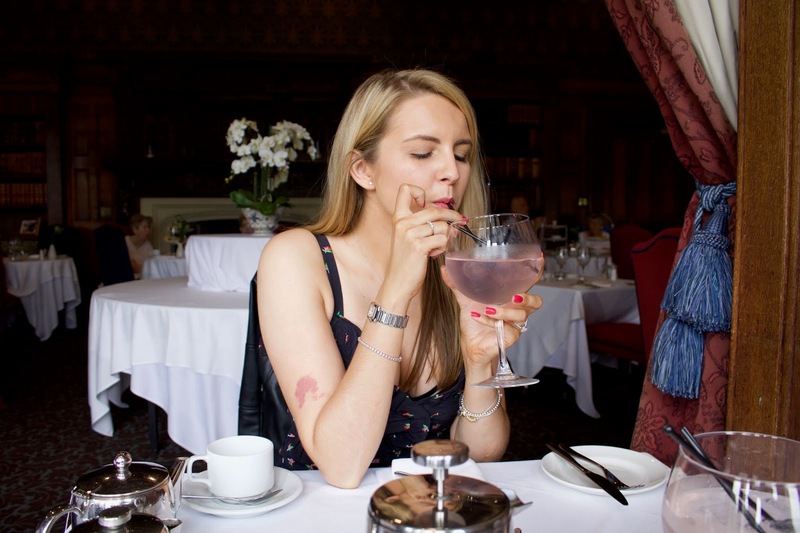 Matfen Hall in Northumberland are doing a pink gin afternoon tea, I knew I had to go along and try it. Matty and I went for the afternoon treat! We had ever been to Matfen Hall before so we were pretty excited to have a look around. We settled down into our surroundings, and our gin and tea orders. We both went for Edinburgh raspberry gin, which just happens to be one of my favourite gins. 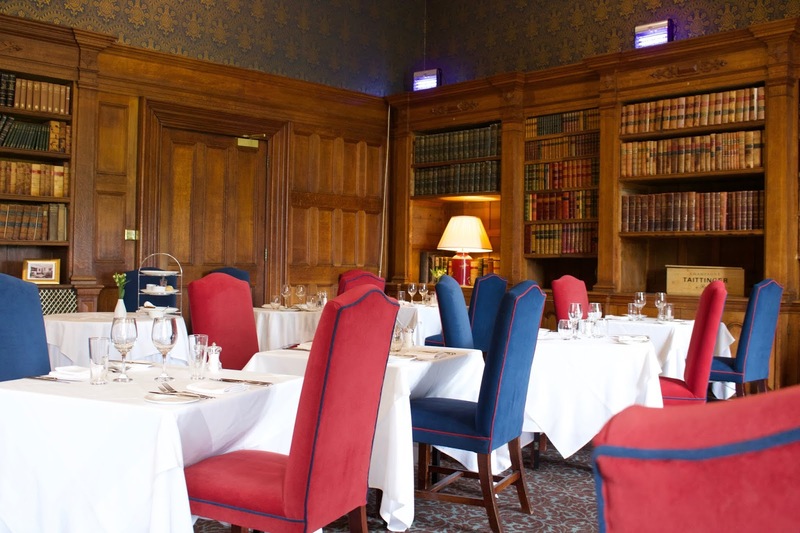 We enjoyed our afternoon tea in the rather grand Library room (photo above). Sitting in the magnificent area it got us both talking about the ownership of Matfen Hall over the years and before we knew it we were Googling Matfen Hall and we got lost in history. 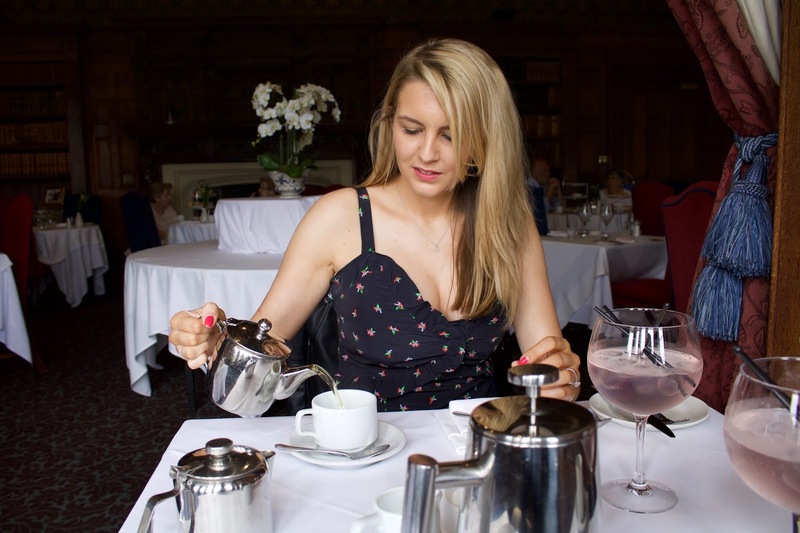 But what better way to bring us back into the present day other than tea? My Ringtons peppermint tea had arrived. 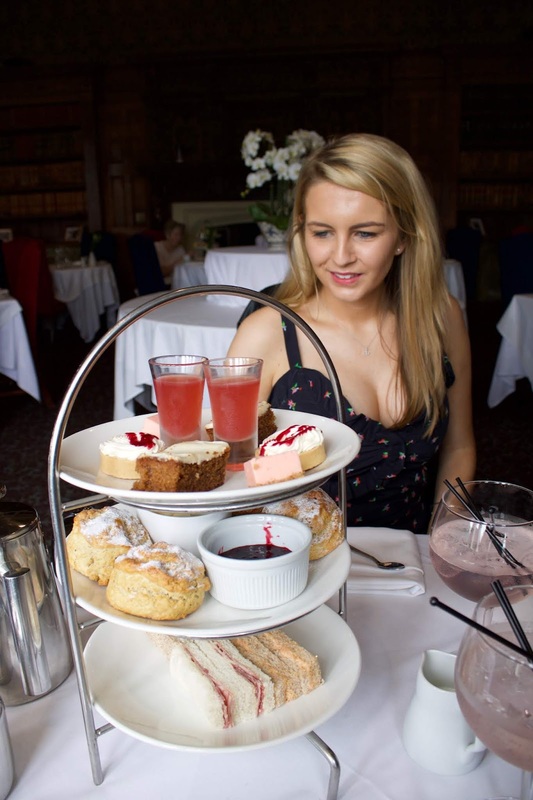 So what do you get in a gin themed afternoon tea? Cucumber and cheese, salmon, egg mayonnaise and ham finger sandwiches. Plain and current scone with jam and cream. 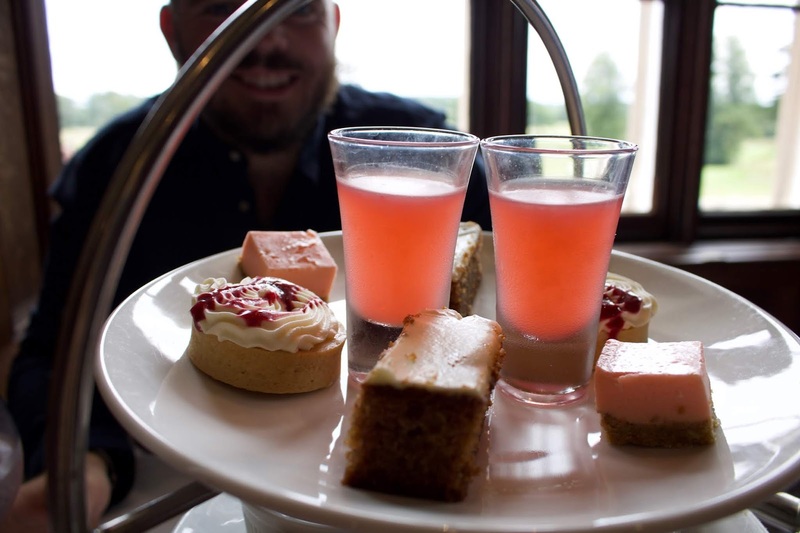 Rhubarb gin jelly, rhubarb and ginger gin cake, sloe gin and white chocolate tart, pink gin and raspberry cheese cake. As much as I wanted to start with the cakes at the top, I start with the sandwiches and worked my way up. 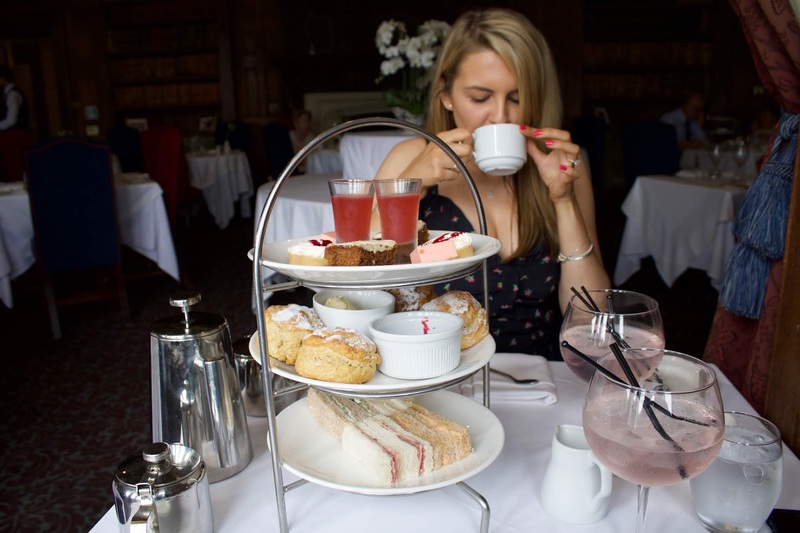 The pink gin afternoon tea costs £20, which includes tea and gin. 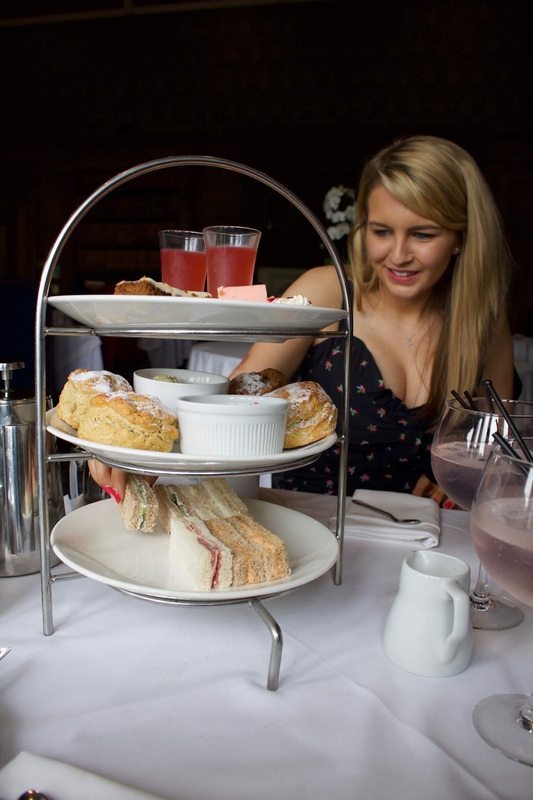 To book the pink gin afternoon tea experience check out Matfen Halls website as booking is essential. It's only available until the 31st of August make sure you don't miss out! 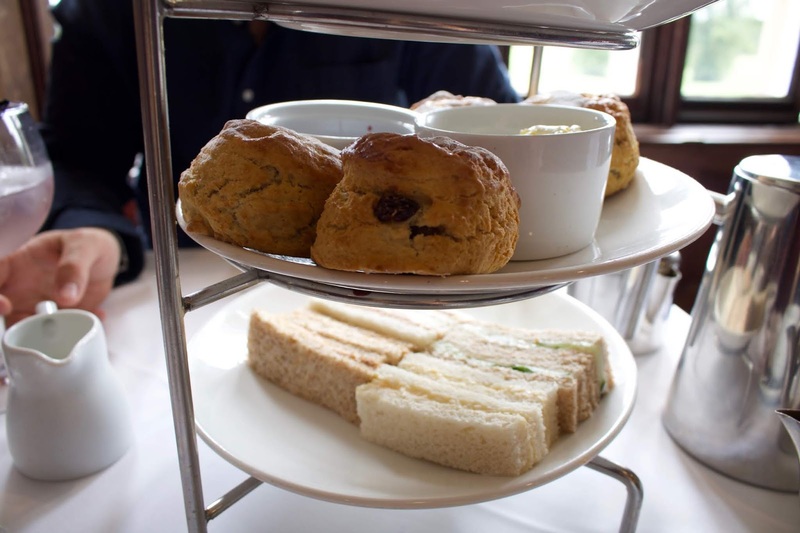 *I was given the afternoon tea in exchange of review. All opinions remain my own.